For its 1968 catalog, American Train & Track (AT&T) included models produced by Tri-ang/Hornby in England. 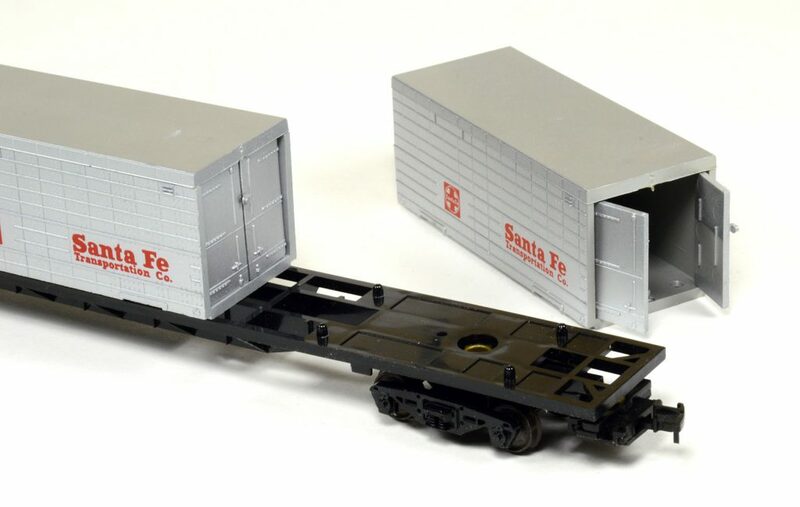 Sold as an 80-foot container car, this interesting model came with a black molded plastic frame with three removable silver plastic containers. 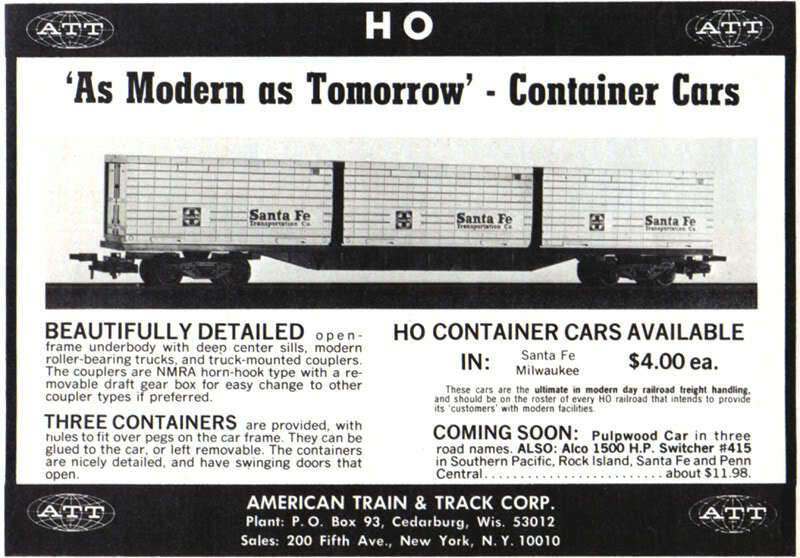 The model is somewhat similar to the 1960s Flexi-Van flatcar with containers operated by New York Central and Santa Fe. 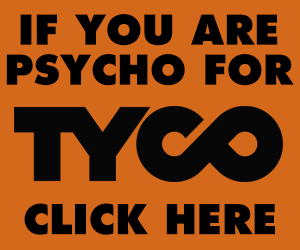 AT&T sold this release for $4.00 and two road names appear in the 1968 catalog.